We’ve announced a NEW competition giving you and a lucky friend the chance to win a holiday to beautiful Daydream Island! This fantastic prize is valued at up to $4,000 and includes 5 nights in a Coral Ocean Balcony Room at Daydream Island Resort plus return flights for two*, return launch transfers and breakfast daily. Two children also stay and eat breakfast free. Located in the Queensland island paradise of the Whitsundays, Daydream Island Resort & Spa is shaded by tropical gardens and is part of the Great Barrier Reef Marine Park. Just footsteps from pristine blue beaches, the roomy and modern accommodation enjoys a relaxed beachy vibe. Enjoy stunning ocean views from the private balcony of your spacious Coral Ocean Balcony Room** while soaking up the atmosphere of the contemporary décor. Featuring plenty of space to relax or entertain, your Coral Ocean Balcony Room offers all the modern comforts including lux bedding that ensures restful sleep. Kick back and relax or take advantage of the almost endless array of onsite resort facilities and activities. Cool off in the expansive swimming pools, sip the day away at a number of bars and restaurants or indulge in a relaxing massage or treatment at the day spa. There are also a fantastic range of water sports and more than 20 free activities for guests including kayaks, catamarans, a rainforest walk, open air cinema and of course the famous Living Reef coral lagoons including shark and stingray feeding shows. When you arrive in the Whitsundays, your launch transfer will whisk you off to Daydream Island where the friendly resort staff will great you with a refreshing mocktail. Throughout your holiday you will be treated to a number of special touches including free WiFi, a delicious daily buffet breakfast and a free holiday portrait to capture your holiday memories. To enter, simply fill out the entry form on the competition page. Each entry method gives you even MORE chances to WIN! 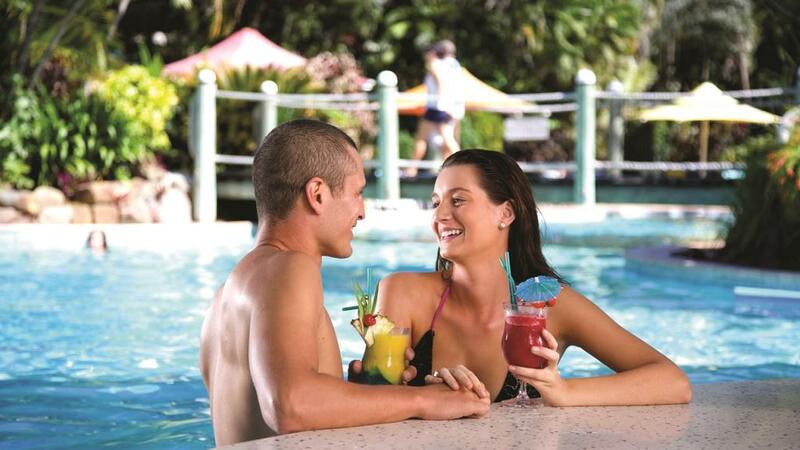 It could be YOU off for 5 nights on Daydream Island! **Bedding is 1 King Bed. Maximum room capacity is 3 Adults & Children. Terms and conditions apply. Entries are open to Australian residents aged 18 years and over. Competition closes 11:59 pm AEST 25th May 2017. Winner will be announced by COB Friday 26th May. Package valid for use 26/05/2017 – 14/12/2017 excluding some block out dates. Booking must be made within 14 days of prize draw.